Moores Hotel Guernsey Tariff. Rates per person room per night. Hotel tariff shown is British pounds sterling per person per night based on two persons sharing with all taxes included. Room only rates deduct £10.00 per person. 10% Discount from published prices for stays of 7 consecutive nights or more when two persons are sharing a room. 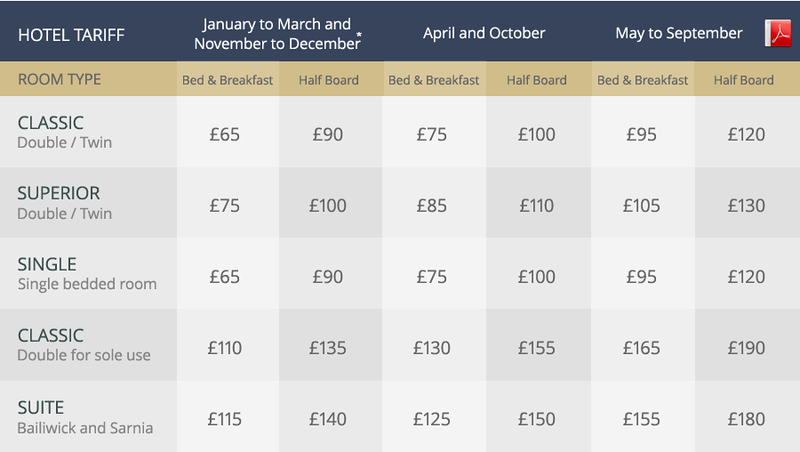 Half board terms - Note this price is for guests pre-booking half board terms for the duration of their stay. Normal price £24.00. 0 to 2 years - Free when sharing a room with parents. 3 to 12 years - £15.00 per child per night when sharing a room with parents. No reduction for children occupying their own room. * Excludes Christmas and New Year's Eve period. 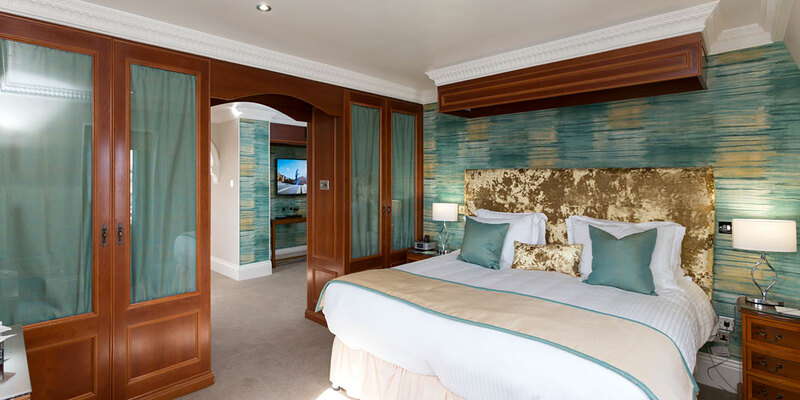 Choose from a selection of bespoke, great value Guernsey short breaks from Weekend Breaks to Romantic and Christmas Breaks at BW Moores Hotel.